BRUSSELS (Reuters) – EU regulators hit Google with a record 4.34 billion euros ($5 billion) antitrust fine on Wednesday for using its Android mobile operating system to squeeze out rivals. 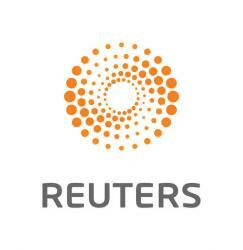 The penalty is nearly double the previous record of 2.4 billion euros which the U.S. tech company was ordered to pay last year over its online shopping search service. The fine represents just over two weeks of revenue for Google parent Alphabet Inc. and would scarcely dent its cash reserves of $102.9 billion. But it could add to a brewing trade war between Brussels and Washington. Google said it would appeal the fine. EU antitrust chief Vestager’s boss, Commission President Jean-Claude Juncker, is due to meet U.S. President Donald Trump at the White House next Wednesday in an effort to avert threatened new tariffs on EU cars amid Trump’s complaints over the U.S. trade deficit. Vestager also ordered Google to halt anti-competitive practices in contractual deals with smartphone makers and telecoms providers within 90 days or face additional penalties of up to 5 percent of parent Alphabet’s average daily worldwide turnover. “Google has used Android as a vehicle to cement the dominance of its search engine. These practices have denied rivals the chance to innovate and compete on the merits. They have denied European consumers the benefits of effective competition in the important mobile sphere,” she said in a statement. The EU enforcer dismissed Google’s argument of competition from Apple, saying the iPhone maker was not a sufficient constraint because of its higher prices and switching costs for users. 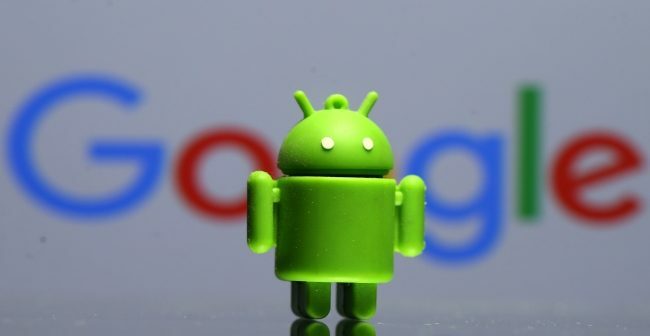 Android, which runs about 80 percent of the world’s smartphones according to market research firm Strategy Analytics, is the most important case out of a trio of antitrust cases against Google. Some major Android device makers, including Samsung Electronics Co, Sony Corp, Lenovo Group Ltd and TCL Corp, declined to comment on the EU case. Regulatory action against tech giants like Google and Facebook with their entrenched market power may lack sting, said Polar Capital fund manager Ben Rogoff, who has been holding the stock since its initial public offering and is broadly neutral on Google. “The reality is that as long as they’re delivering great utility to their consumers, consumers will still use those platforms. If they do, advertisers will be drawn to those platforms, too, because the ROIs (return on investment) are very difficult to replicate anywhere else,” he said. The EU takedown of Google is six to eight years too late, with users paying the price, said Geoff Blaber of CCS Insight. “Any action by the EU is akin to shutting the stable door after the horse has bolted,” he said. Lobbying group FairSearch, whose 2013 complaint triggered the EU investigation, welcomed the ruling. A third EU case, which has not yet concluded, involves Google’s AdSense product. Competition authorities have said Google prevented third parties using its product from displaying search advertisements from Google’s competitors. Vestager has also ordered a series of measures against other U.S. companies over tax practices in some EU states, notably demanding two years ago that the Irish government take back up to 13 billion euros from Apple Inc.